Concentrates are high in engergy and protein, low in fibre and highly digestible. 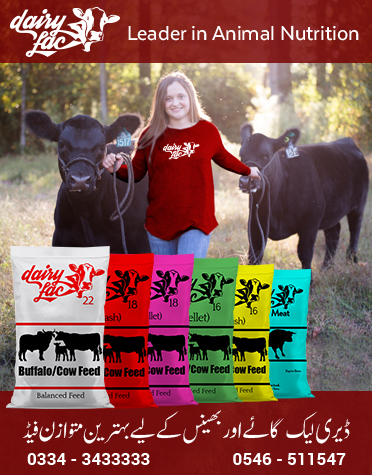 Being the expensive part of feed these are used mostly in small quantities as supplement. Concentrates are of two types: energy rich concentrates and protein rich concentrates. Protein rich concentrates further differentiated on the basis of their origin as plant origin and animal origin. Cereal grains (wheat, maize, barley, oats, sorghum, rice), wheat bran, rice polishing, molasses, and sugar beet pulp are characterized as energy rich concentrates. Although cereal grains are mainly used as human food and not included in the feed of dairy animals but their by products like rice polishing, maize bran and wheat bran are commonly used as animal feed. Molasses is by product of sugar industry. It is a thick viscous material which is high insoluble carbohydrates and some minerals. Although molasses is a cheap and energy rich feed but still it is not commonly used by local farmers. Molasses can be included in the diet by mixing it with other concentrates, spraying it on dry roughages or providing it as a free lick or as solidified molasses urea block. 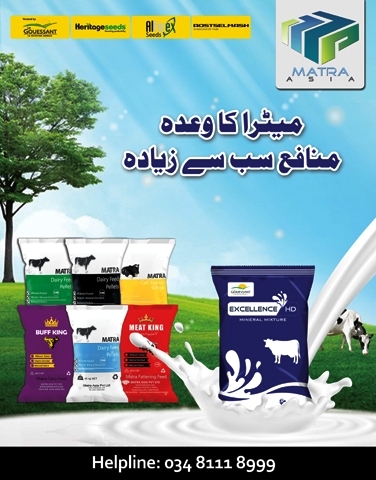 The palatability and consumption of poor quality roughages are increased by the use of molasses. Fats and oils contain about 2.25 times as much energy as carbohydrates or proteins. Due to their cost, fats and oils are not routinely used for livestock feeding. Protein rich concentrates are derived from plants and animals. Protein concentrates of plant origin are mostly by products of the oil extraction industry. Oilcakes are produced when oil from seed is extracted mechanically while oil meals are the byproducts of the solvent extraction process. Compared to oil meals oilcakes are low in protein and high in residual fat. They generally include the fibrous part of seeds. 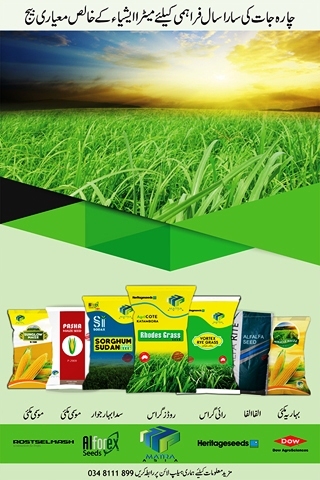 Among the available oilcakes, cottonseed cake and maize oilcake have high protein value for ruminants due to their low ruminal degradability as compared to mustard seed cake which is highly degradable. Generally all animal origin proteins are less degradable in the rumen and therefore are good sources of protein for ruminants. These include blood meal, fish meal, bone meal, meat meal, feather meal. 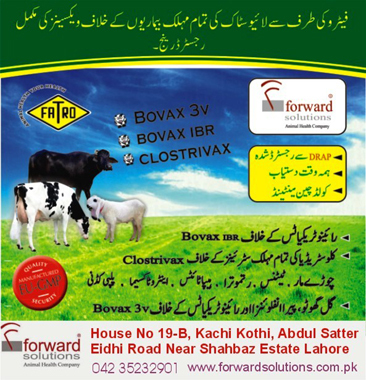 But concentrates of animal origin are normally not recommended in ruminant's feeding.